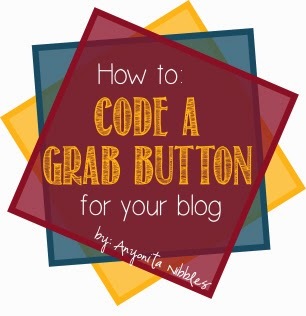 Grab buttons are great ways for your readers to share your blog with their readers. By having a grab button, you make it easy for anyone to copy and paste the necessary HTML or your blog's logo or any other picture you want to associate with your blog. Use your grab button for ad swaps, to promote your link party or to promote blogging groups your belong to or blogging series you may be running or involved in. The possibilities are endless and it doesn't matter what you want to use the grab button for, the code is always going to be the same, with only a few things to change each time. My grab button is housed in my right sidebar, but you can put yours wherever you'd like. Upload your image to a hosting site. I prefer to use G+ Web Albums because I know that the hosting is reliable and I already have a private album where all of my images are hosted. I would suggest you do the same. 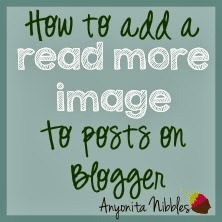 If you're a Wordpress blogger, you can upload the image to your media library. In line #2, change the width from 243px to match the width of the image used. In line #3, change the img src URL from mine to reflect your image's URL. If you are hosting your image on G+ photos, you will need to right click on the image and choose the "copy image location" option. Still in line #3, replace the YOUR BLOG NAME with the name of your blog. Lastly in line #3, change the width and height to reflect the width and height of your image. In line #9, change the width to the match the width of your image. In line #10, change the height to make the box as long as you would like it to be. In line #12, replace YOUR-BLOG-NAME with the name of your blog. Also in line #12, change the width to match your image's width. 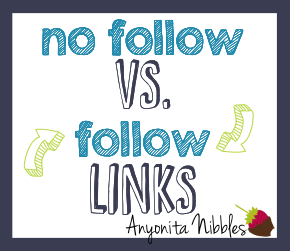 In line #13, change YOUR-URL to reflect the URL of your blog. In line #14, change the img src URL from mine to your image's URL. 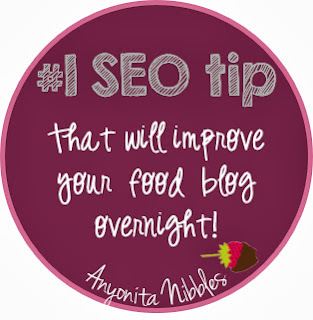 Also in line #14, change the alt YOUR-BLOG-NAME to reflect the name of your blog. Finally, in line #14, change the width and height to reflect the width and height of your image. That's it! You've done it! Now go test out your grab button and make sure it works. :) If you run into any issues, please feel free to leave me a comment and I'll be happy to help. 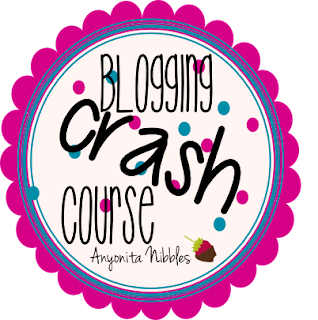 And don't forget to leave me a comment with a link to your blog so I can check out your fab button! I put up the code for the buttons can you check it out pls. It looks ok, but I just want to make sure. Thank you soooo much! I followed your AMAZING tutorial, and made two buttons...I can not wait to share them with the world! I think I did it right! My box is much bigger than yours though...it seems to have extra space. Is there any way I can share it with you to look at it? Thanks for a great tutorial though! Just pinned it! I know I am going to need it again!